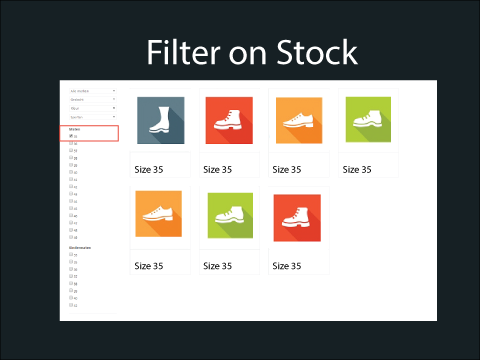 "No more disappointments for your customers with Filter on Stock"
Imagine this: A sale is on and you are looking for a new pair of shoes. Every time you click on a pair of shoes you find out that the pair you want is not in stock in your size. This is very frustrating and time consuming. 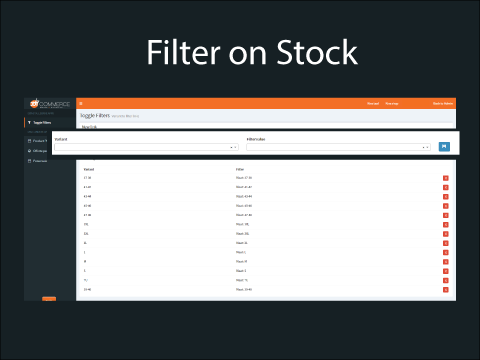 That's why we developed Filter on Stock. In the product overview I simply click on 'Size 39' and only the shoes that are in stock in size 39 are shown on the collection page. You can do this with colors, brand, sizes, etc. 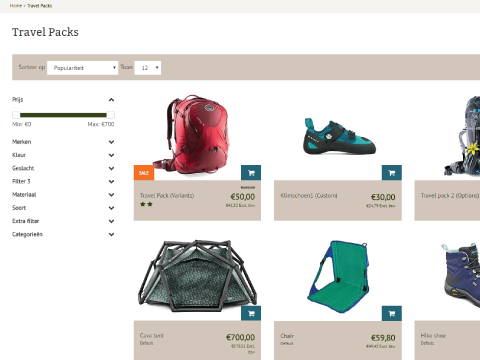 Connect the filters from your Lightspeed store to variants of products in the App dashboard By DotCommerce. Our plugin checks which is on stock and which isn't. This app only works if you have the filter feature/extension in your Lightspeed store. DotCommerce is an IT company base in Breda (The Netherlands). We are THE partner if it comes down to custom functionality, for both back- and front-end. We like to share some of the amazing stuff we’ve done for our customers with other shop owners on the Lightspeed platform as well, which is why we started offering apps.